There’s nothing quite like the satisfaction of a clean and orderly home. Just like Miss Tiggywinkle, the notion of a clean home fills us with pride. On average, British households spend £2.40 per week on cleaning products to maintain their sparkling abodes*. But how many of us can honestly say they enjoy cleaning? Inevitably, the thought of such tasks can conjure up feelings of boredom and keeping things neat and tidy can sometimes feel like a thankless task. Unless however, you have the best items to hand to help put the gleam back into cleaning. With the right solutions, you can create a perfect environment for yourself and loved ones to maintain a heavenly home.Cleanliness is after all considered to be next to godliness. Summertime calls for not only spotless homes but spotless gardens, perfect for all your solstice soirees. For solutions that cover all areas, be it indoors or out, why not try the HG Range to cover all aspects of maintaining your sacred space to its best appearance. Help to conserve Britain’s treasures whilst sweeping away the mess, with this National Trust 12” Bassine Broom with Handle (£10.49). Not only will your garden thank you for it, but you’ll be supporting the conservation work that the National Trust provides throughout the UK. For pristine and powerful cleaning, without the fuss of tangled cords, why not try the Turbo Scrub Cordless Multi-Purpose Household Cleaning Brush (£39.99). With a 3.5ft extension arm, you can handle all those hard-to-reach areas, whether it’s a high ceiling or garden fence. The Bar Keeper’s Friend Stain Remover Powder (£2.99) ensures that those stubborn stains are obliterated. Whether on stainless steel outdoor appliances, grouting, tiles or fine chinaware, you’ll be guaranteed a perfect finish, every time. Cleaning just got a whole lot funkier. The use of technology within household items puts a new spin on housework, to make your chores not only easier, but more fun. Why not let an android do the hard work for you? 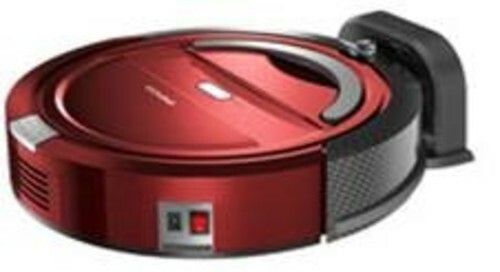 The Pifco Self Docking Robotic Vacuum Cleaner (£114.99) (online only) is suitable for both hard floors and carpets, meaning there isn’t a spot in your home it can’t tackle. It’s so intelligent that when it runs low on power or completes the program it returns to its docking station, and even turns itself off when the 600ml capacity has been reached. For those who like to see results first hand, why not invest in a cordless cleaner such as the Vax Dynamo 2-in-1 Cordless Black/Blue Vacuum Cleaner (£74.99). Not only will this look sleek and stylish within the home, but also has detachable handle to make cleaning nooks and crannies a breeze. For steaming simplicity, try the Pifco Handheld Steam Cleaner (£27.99). To make light work of a messy job, this nifty device will expel grease and grime to leave surfaces dirt and germ free – without any of your own elbow grease! For the eco-warriors, there’s no need to compromise on results. On washing up duty again? Cut the chemicals from your dishes with some Ecover Washing Up Liquid (£1.49-£2.49). For a natural cleanse to leave your trusty appliances looking shiny and effective as new, the Kilrock Eco-Friendly Descaler (£2.29) provides fast and effective cleaning with a low environmental impact. Its biodegradable formula is suitable for use with kettles, showerheads, taps and irons so you can clean with ease, without the nasties. Take the waste out of your washing machine with Ecoegg Soft Cotton Dryer Egg (£7.99). Cutting drying time by up to 28%, the Dryer Egg softens clothes and keeps them smelling fresh without the use of fabric conditioners. It’s not only household items that need a spruce up. With a variety of delicate fragrances and always housed in recycled packaging, using the Method Foaming Handsoap (£2.99) means you can keep your hands cleansed and rid of germs, without harsh chemicals on your skin. Hard work pays off and it’s not only your home that has to reap the benefit of your efforts. Cleaning from top to bottom can help you stay fit and toned whilst achieving a glittering abode. Old wives tales are often a best kept secret. Keep those windows crystal clear with the traditional use of vinegar within the Windolene Cleaning Spray (£2.29) and the Kingfisher 3m Telescopic Window Cleaning Set (£17.99) as a perfect companion. Not only will your glass sparkle but you’ll also burn around 168 calories with a rigorous 30 minute clean, perfect for that summer sun to stream through. For a brilliant bathroom and a 90-calorie burn, scrub away to your heart’s content with this small but mighty JVL Small Scrubbing Brush (£.179). Add the Dettol Bathroom Power Gel (3.49) to blitz grime and dirt from your bath and get those muscles moving. Media information provided by Famous Publicity. For further information please contact Mary-Jane Rose at mary-jane@famouspublicity.com or Joanna Mason at joanna@famouspublicity.com or Tina Fotherby at tina@famouspublicity.com or call the office on 0333 344 2341. Robert Dyas, a man of notable character and remarkable determination, founded the company in 1872. He had a vision to provide customers with the best products, service and advice possible – a tradition that continues to be the focus of the company to this day. In 2012, successful businessman and star of BBC TV’s Dragons Den, Theo Paphitis, bought the company. The company has 94 stores, ranging from 1,250 to 9,000 square feet (116 to 836 square meters) and operates online and in the South of England. The most western store is in Yeovil, the most eastern store in Colchester, the most northern store in Solihull and the store furthest south is in Eastbourne. The company’s head office is now based in Wimbledon. This press release was distributed by ResponseSource Press Release Wire on behalf of Robert Dyas in the following categories: Men's Interest, Home & Garden, Women's Interest & Beauty, Environment & Nature, Consumer Technology, Food & Drink, Retail & Fashion, for more information visit https://pressreleasewire.responsesource.com/about.